cryptonaut-in-exile: Hey Mitt! Dogs Don't Go There! 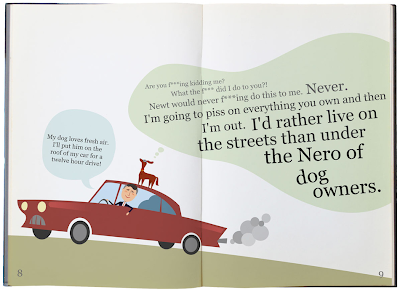 Mitt Romney once drove for twelve hours with his dog on the roof of his car. In this children's book Mitt's dog Seamus walks you through the many things you shouldn't do as a dog owner.